Discussions of the relationship between religion and violence have been on the rise since 9/11. Conversations have also focused on how religion can mediate conflict and help build peace. 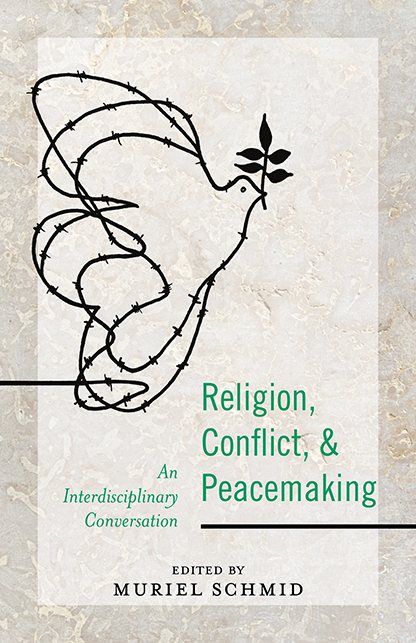 This volume offers a diversity of approaches to the subject, gathering essays from a cross-section of prominent scholars studying the role of religion in peacemaking. Contributors from varied backgrounds share perspectives and insights gleaned from history, theory, practice, and case studies. While the authors acknowledge the role of religion in generating conflict, they emphasize the part religion can play in conflict resolution. Addressing the centrality of conflict to the human condition, they recognize the consequent difficulty in teasing out the exact role of religion. Overall, the authors assert the necessity of frank, knowledgeable dialogue to understanding sources of, finding grounds for resolving, and managing conflict. Many of the essayists offer creative solutions for building peace. Employing examples and viewpoints drawn from diverse faith traditions, academic traditions, and cultural backgrounds, contributors seek to foster respectful dialogue and debate by exploring the complex dynamic that interconnects religion, violence, and peace. Trained as a theologian and Protestant minister in Switzerland, Muriel Schmid founded and directed the program in religious studies at the University of Utah and taught there from 2004 to 2014. Since then, she has been directing programs for faith-based nonprofit organizations. 4. The American Way of Religion and Violence?